The Safety Sleeper is produced by Gibsonia-based manufacturer Abram’s Nation. It’s often purchased by families with children who have irregular sleep patterns. The Safety Sleeper looks a lot like a tent that fits over a mattress, only instead of waterproof polyester, it’s constructed with medical-grade fabric. And unlike a tent, it can only be opened from the outside. Abram’s Nation owner and founder Rose Morris created the Safety Sleeper for her son, Abram, out of necessity. Abram is on the autism spectrum. Like many kids with this diagnosis, he had an irregular sleep pattern which lead to late-night wandering. “I really felt like I was going to be a prisoner in my home because I didn't have a way to travel with Abram and safely have him sleep,” said Morris. The National Autism Association reports that nearly half of all children who have the diagnosis engage in this type of behavior. Drowning is a major concern as many kids gravitate towards water, as are the risks of sexual assault, getting hit by a vehicle or dying from exposure. After extensive searching, Morris said she decided to create her own solution and the Safety Sleeper was born. She estimates they created nearly 30 iterations before she and her husband landed on the final design. 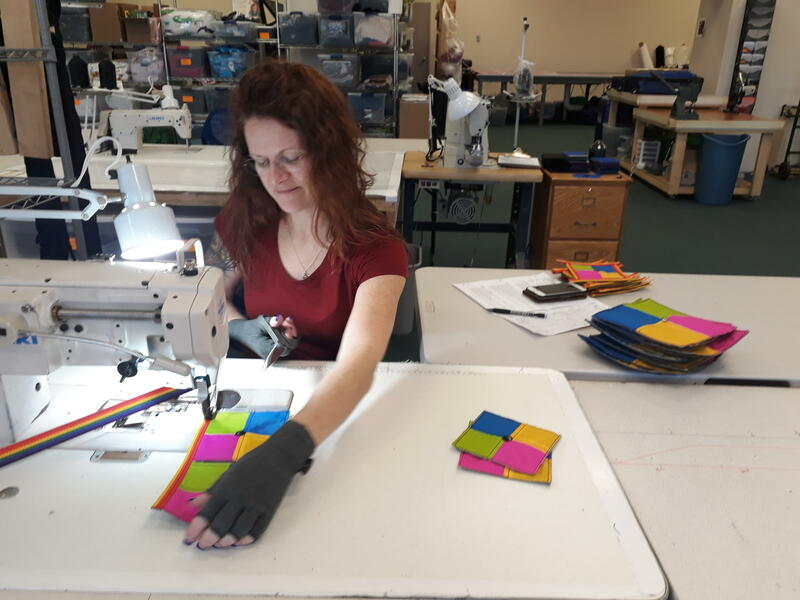 Abram's Nation employee April Hicks sews fidget spinners for the floor mate, one of the occupational therapy tools the company produces. The Safety Sleeper’s canopy top is constructed of a mesh material to prevent feelings of claustrophobia. The bed’s metal frame is padded. “This is designed in case a child is self-injurious,” explained Morris. Kids with Autism sometimes bang their heads because their nervous systems are over or under stimulated. The family figured if they benefited from something that stopped their child from wandering, others would too. This meant scaling up. In another part of the Abram’s Nation headquarters, Morris demonstrated their digital plotter cutter. 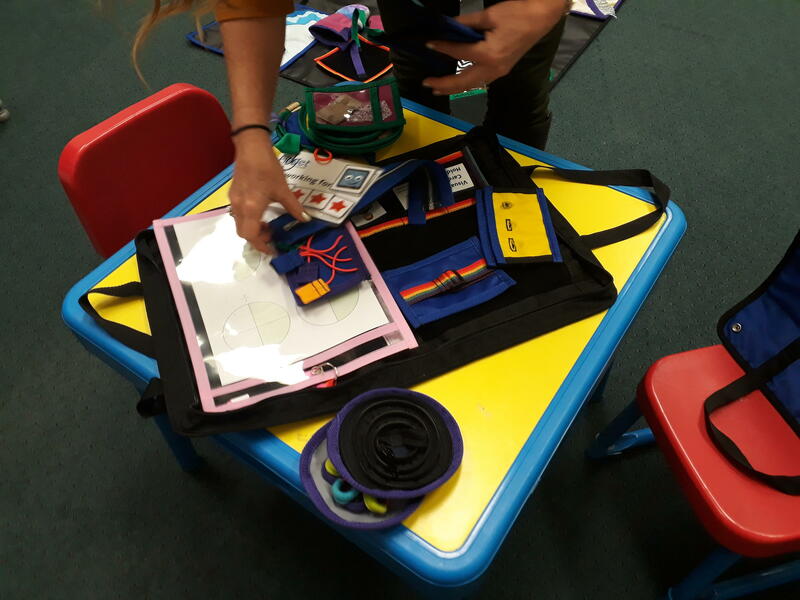 The fidget folder is one of the occupational therapy tools Abram's Nation produces. When Abram’s Nation started selling the Safety Sleeper commercially, Morris said her staff would cut the fabric by hand, which took about two hours. With the plotter cutter, this stage of production lasts only minutes. “It has digitized our pattern, so it’s going around with a spiral wheel cutting our fabric out,” she said. 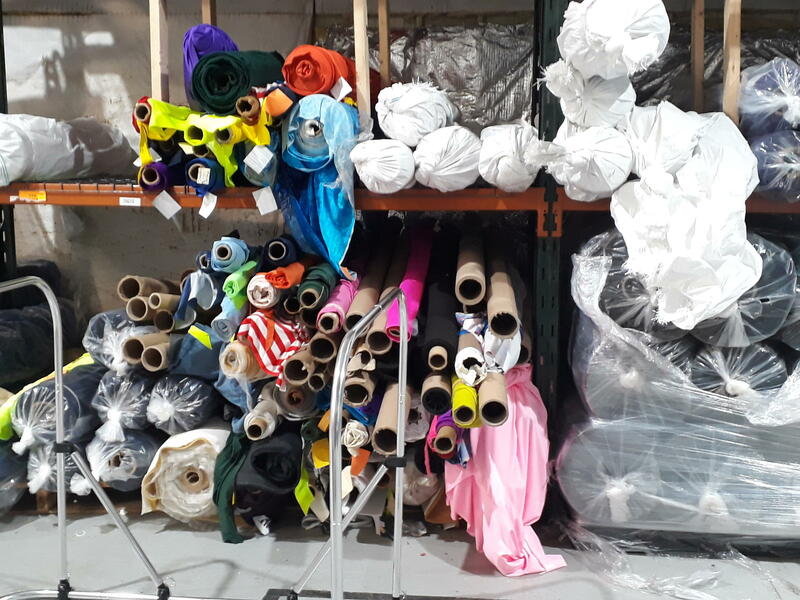 The warehouse also has industrial sewing machines, what appears to be miles of rolled fabric, and a break room for her staff of 14. Morris got the patent for the Safety Sleeper in 2011, today it’s purchased by families as far away as Australia. And their product line has expanded to include occupational therapy aids, vests, lap pads, and coats that fit comfortably over people who use wheelchairs. Abram's Nation founder Rose Morris stands next to Safety Sleepers that are packaged and ready to be shipped. Another thing that’s changed is that Abram, who’s now a teenager, no longer uses a Safety Sleeper. That’s because Abram now sleeps through the night. For years, arts organizations have offered “sensory-friendly” versions of their concerts, plays and recitals, primarily to benefit audiences on the autism spectrum. These productions are generally the same event, but with sound and lighting modified to avoid aggravating audiences unusually sensitive to such stimuli.